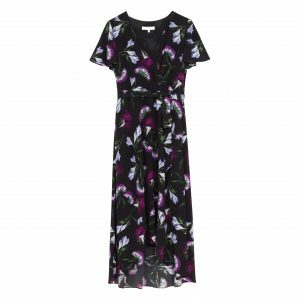 A simple elegant silk dress with high neck and centre front peep hole detail with a softer fuller skirt that sweeps the knee. 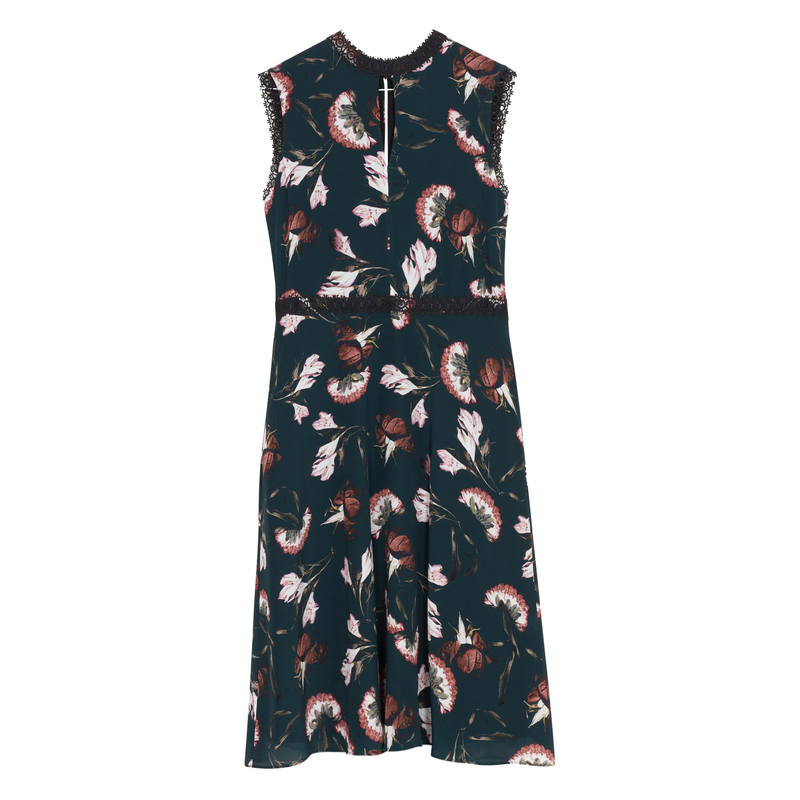 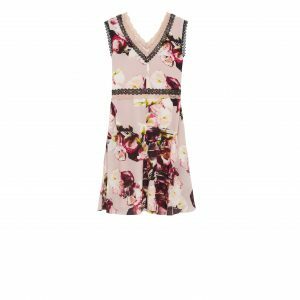 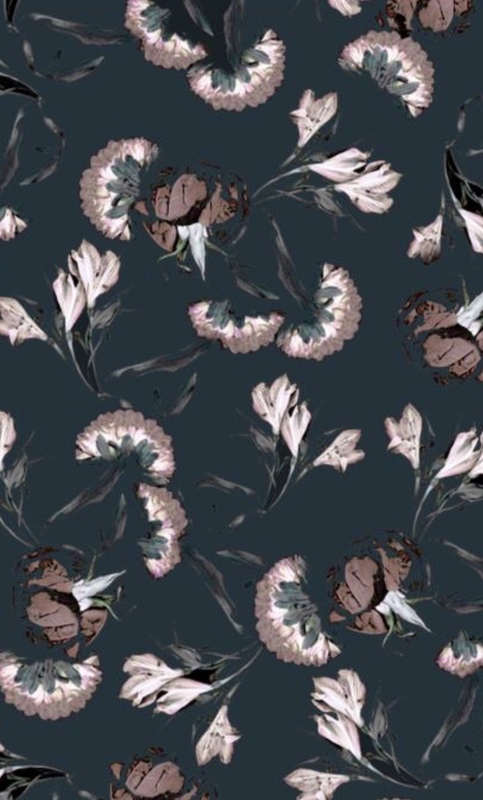 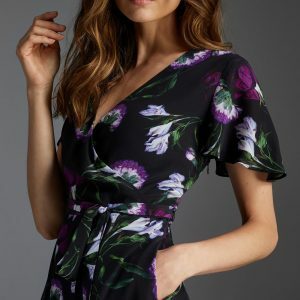 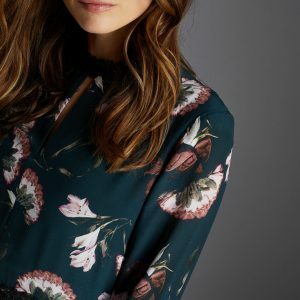 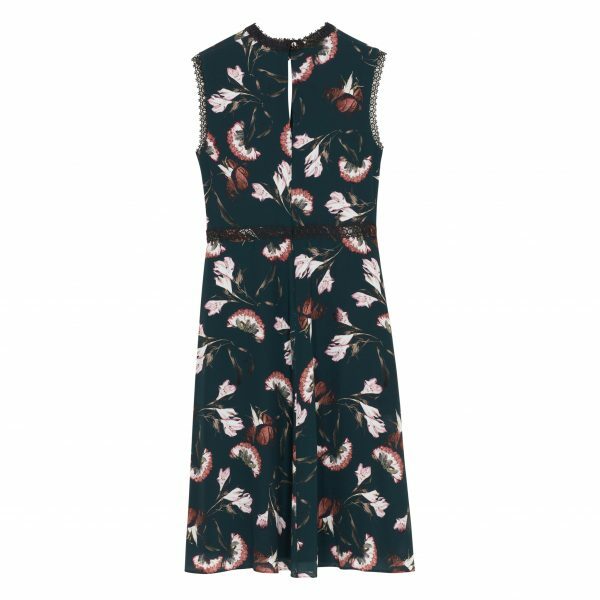 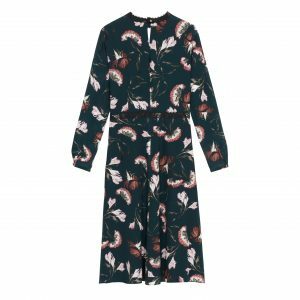 The gorgeous oriental inspired floral print is contrasted with a pretty black lace trim around the neck and waist and the high neckline has a feminine peep hole detail. 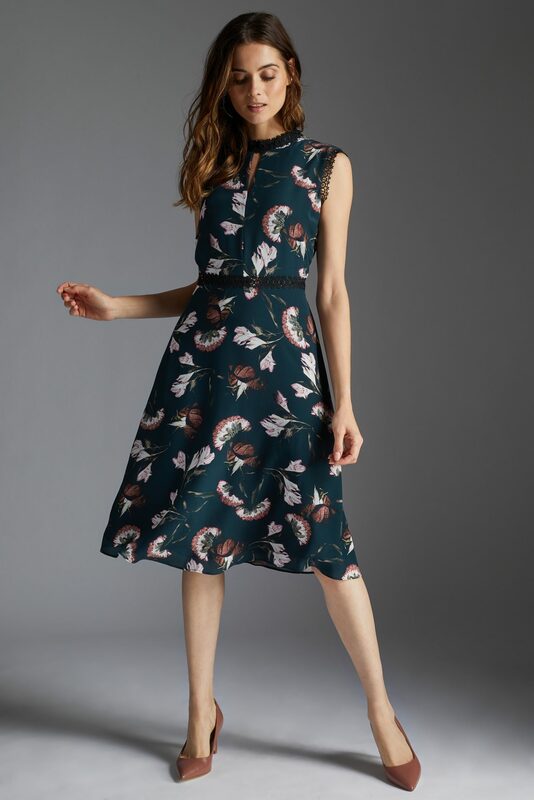 The dress is sleeveless with the same black lace trim to finish the armhole and the skirt is slightly softer and fuller with a length that skims over the knee making it a very flattering shape.